You know Murphy’s Law, right? Anything that can go wrong will go wrong. There’s no doubt your customers are familiar with this adage, no matter how incredible your business and services are. Everyone has found themselves in a situation beyond their control at one point or another. Things will go wrong—that’s inevitable. What is within your control is how you facilitate the resolution of the problem and what kind of experience your customer ultimately walks away with. Murphy’s Law is no match for businesses that implement an excellent customer care solution. And that solution is not always in-house. 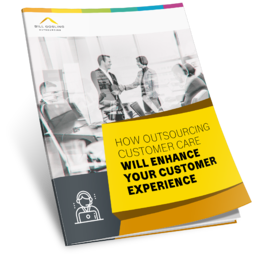 Download this e-book to learn more about how outsourcing customer care can elevate your customer experience.